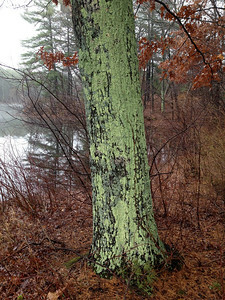 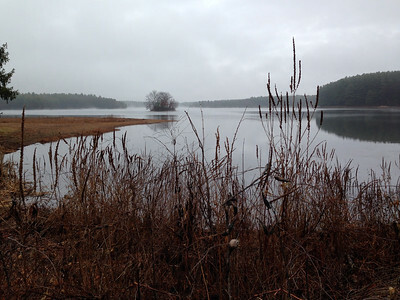 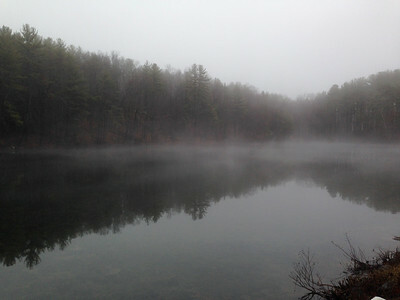 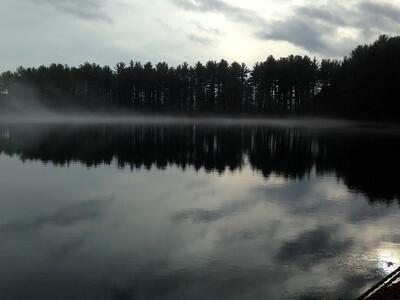 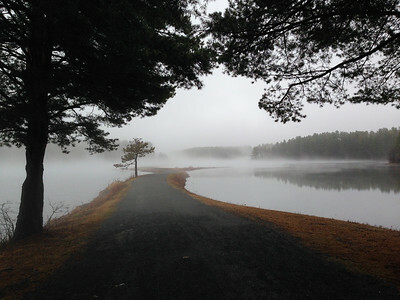 A mild, misty day at Ashley Reservoir, December 24, 2015. 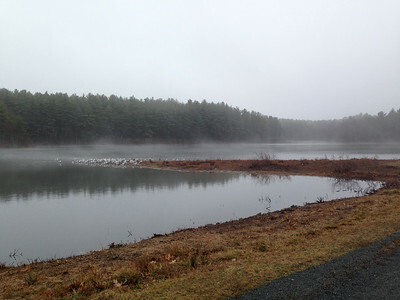 Many people enjoying the mild weather, December 24, 2015. 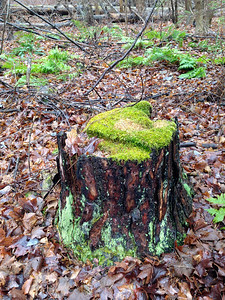 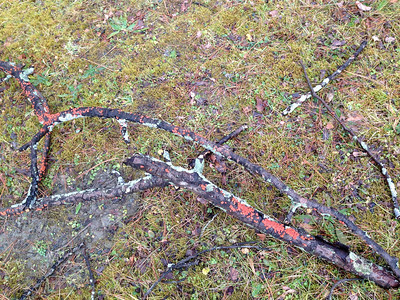 Colorful patterns of lichen on decaying branches. 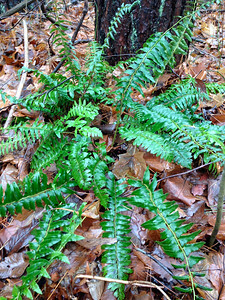 Leaflets of the Christmas fern are shaped like Christmas stockings. 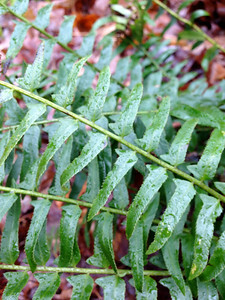 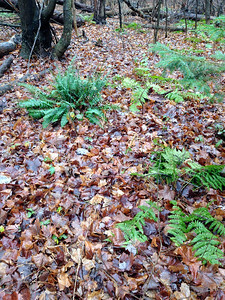 The Christmas fern is darker green in December than the other ferns. 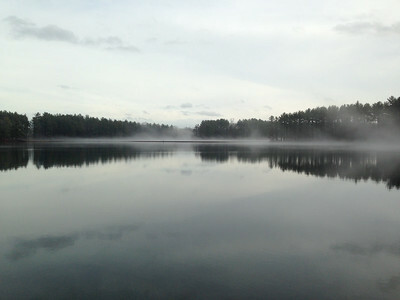 After I had walked on paths around Ashley Reservoir for over an hour in the grey mist, the sky began to clear. 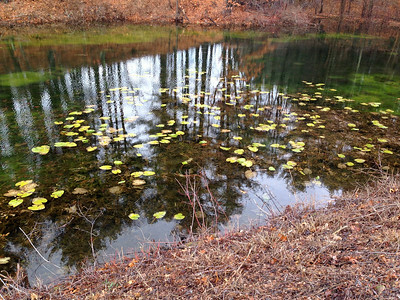 Although this was the day before Christmas, it looked and felt more like Springtime. 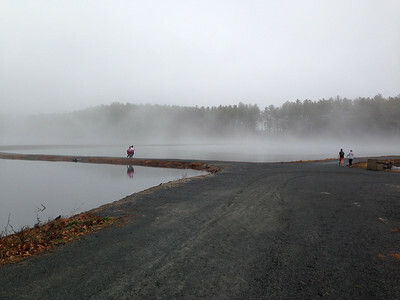 Note runner in the mist, center.